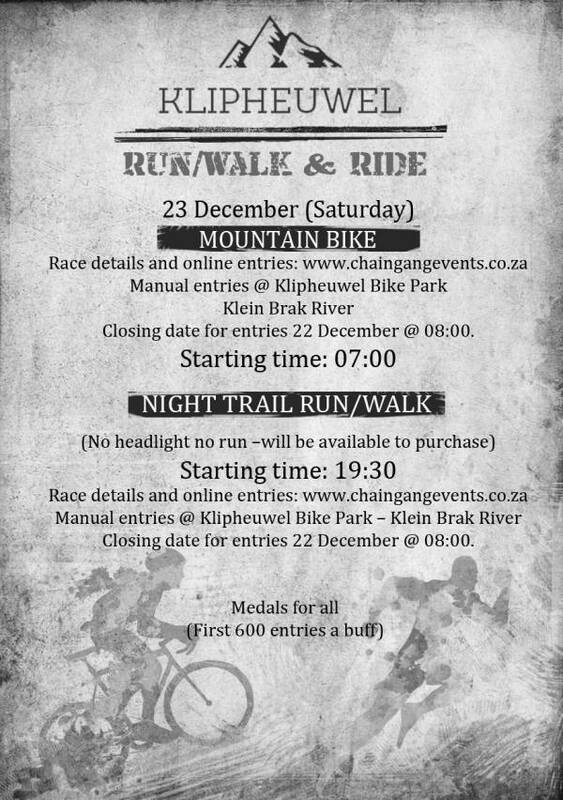 Come and enjoy the day and night of the 23rd December 2017 at the Klipheuwel MTB Park for an adventurous day of Trail running and MTB riding on purpose build tracks. All the trails are on Private Farmland property and thus secure and safe. The routes run along the river edge and with climbs that are rewarded with fantastic views and great down hills. The venue (start/finish) has the Pump Track and XCO track to play on. 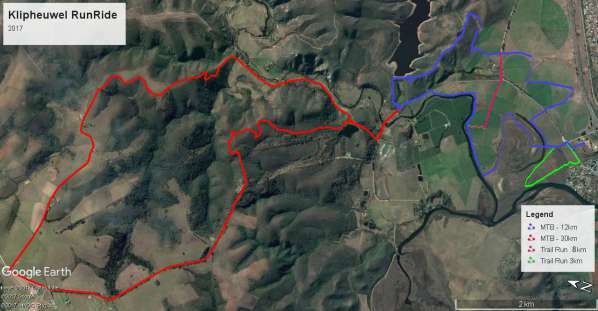 The setting has the Klipheuwel Farm Stall (Shops & menu options), Boplaas and Salty River Beerhouse (Craft Beer & Woodfire pizza) virtually on the finish line. Registration: MTB Number collection from 05H30 at venue and Trail Run Race Number Collection from 18H00 - Registration stops 30 minutes before each event to allow for course and safety briefing. Bring the family and experience a day filled with enjoyment.